Now this is a day that everyone can’t get behind! 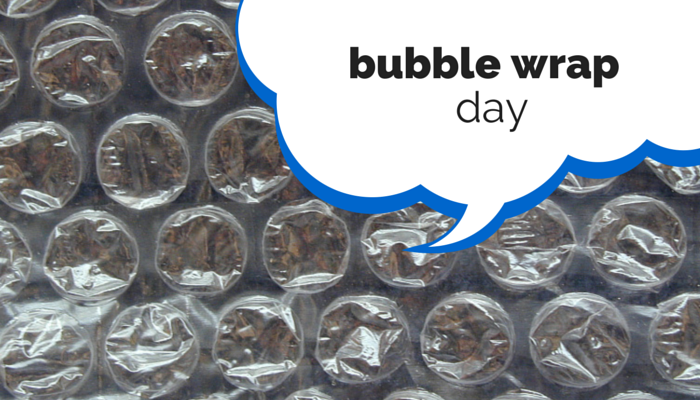 Bubble wrap appreciation day. Whether you are unpacking parcels or found some whilst sorting out stuff in your attic, there is no greater joy in life than popping them bubbles! So to celebrate we’ve put this vine video together to satisfy that popping need if you don’t have any nearby! We also stock bubble packing on our site, so if you really can’t resist you can indulge to your hearts content!